This post answers the frequently asked questions we hear from employers about how sales apprenticeship training can be funded. It’s the second post in our sales apprenticeship training series, and follows on from our myth busting post, Ten Facts about Sales Apprentices & Apprenticeships. England, Northern Ireland, Scotland or Wales? Although some aspects of apprenticeships (such as the apprenticeship levy) do apply to employers across the whole of the UK, apprenticeships are a devolved policy. This means that authorities in England, Northern Ireland, Scotland, and Wales each define and manage their own apprenticeship programmes, including deciding how funding (including that raised via the apprenticeship levy) can be spent on apprenticeship training. The new sales apprenticeship programmes referenced below were developed with the IfA (Institute for Apprenticeships), which is an English organisation. Although The IfA works closely with their counterparts in other parts of the UK, those organisations have not adopted these standards, nor have they developed equivalent sales apprenticeships of their own (yet?) Therefore, the information below relates only to UK employers where the apprentice works at least 50% of their time in England. More information, including links to the Welsh, Scottish and Northern Irish apprenticeship systems, can be found on the UK Government apprenticeship funding website here. Since the 6th of April 2017, all UK employers are required to invest in apprenticeships by paying an apprenticeship levy. The levy is currently 0.5% of the employer’s total pay bill and is collected monthly through the PAYE system in the same way that Income Tax and National Insurance contributions are paid. However, all employers will receive a £15,000 annual allowance to be offset against their levy bill. This effectively means that employers with an annual wage bill of £3 million or less do not pay the levy. (You can find more detailed guidance on the rules, including how wage bills are combined for groups of ‘connected’ companies, on the gov.uk website here). For young apprentices aged between 16 and 18, non-levy paying employers (those with an annual wage bill of less than £3m per annum) will receive 100 per cent of the apprenticeship programme costs from the government, up to the funding band limit set for that apprenticeship. (More on funding bands in a moment). Small businesses (those with less than 50 employees) who take on young apprentices may also be eligible for an additional incentive payment of £1,000 towards their apprenticeship training. For all other apprentices (those aged 19 or over), the government will pay 90 95 per cent of the apprenticeship cost (up to 90 95 percent of funding band limit), with the employer paying the remaining 10 per cent. (EDIT: In the UK Budget on 29th October 2018, Chancellor Philip Hammond announced that for small and medium-sized enterprises, from April 6th 2019 the Government will now pay 95 per cent of the apprenticeship cost, leaving the employer to pay just the remaining 5 per cent). There is currently no cap to the amount of apprenticeship funding an employer can receive, other than the funding band limit for each individual apprentice / apprenticeship. Employers with annual wage bills above £3 million are required to make monthly levy payments through the PAYE system. As they do so, these levy funds are added to their apprenticeship service digital account. Currently, the apprenticeship service only supports the English apprenticeship system, and so the amount of funds in the employer’s digital account will depend on how many of their employees live in England, and the proportion of their wage bill paid to those employees. (This is called the ‘English percentage’, you can find more information about this on the Department for Education website here). The employer can then use the funds in their digital account to pay for apprenticeship training and assessment, with the apprenticeship service automatically transferring the relevant amount to the approved training provider and end-point assessment organisation on a monthly basis during the apprenticeship period. Whilst funds remain in the employer’s digital account, the apprenticeship will be 100 per cent employer funded, without any top-up ‘co-investment’ funding provided by the government. What happens if the employer has insufficient funds in their digital account? The employer can simply switch to the model that applies to non-level paying organisations, meaning that for apprentices aged 19 or over the government will pay 90 95 per cent of the apprenticeship cost, with the employer paying the remaining 10 per cent, subject to the funding band limits described below. (EDIT: In the UK Budget on 29th October 2018, Chancellor Philip Hammond announced that from April 6th 2019 the amount small and medium-sized enterprises have to contribute towards apprenticeships will be reduced from 10 per cent to 5 per cent, meaning the Government will now pay 95 per cent of the apprenticeship cost, subject to the funding band limit). It’s your apprenticeship levy, but use it or lose it! Employers who pay the apprenticeship levy need to be aware that funds are only ring-fenced for 24 months from the point that they enter their digital account. Funds used for apprenticeship training will be allocated on a ‘first-in, first-out’ basis, however if funds remain in the account after 24-months from the date they’re paid in, they will ‘expire’ and be withdrawn to (in theory) help fund the government’s contribution to apprenticeship training accessed by non-levy paying employers. Each apprenticeship is allocated to one of 30 funding bands (as published on the gov.uk website here). 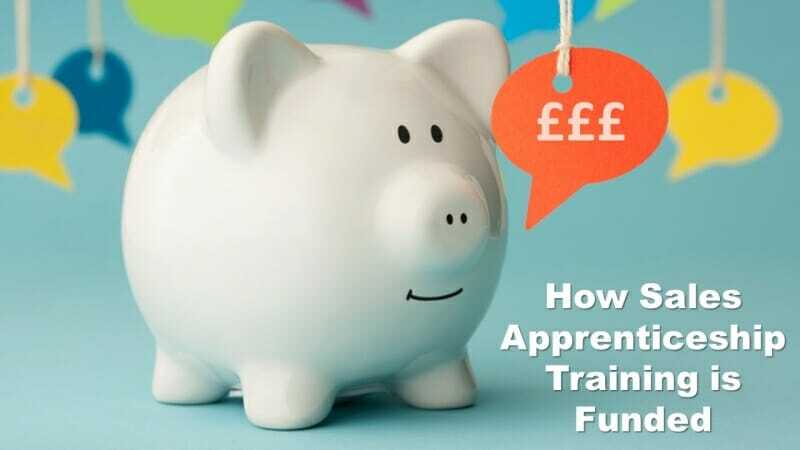 These range from £1,500 to £27,000 and dictate the maximum amount the government will fund per apprentice; 100 per cent of this amount for ‘fully-funded’ apprenticeships, or 90 per cent of this amount for government and employer ‘co-funded’ apprenticeships, as described above. You can find more info on funding bands on the IfA (Institute for Apprenticeships) website here. What can apprenticeship funding pay for? When it comes to what the apprenticeship funding can and can’t be used for, as you’d expect the apprenticeship funding rules are long and complex, so for the sake of brevity (and your sanity) here’s a quick outline of what these funds can and can’t be used for. Using an approved apprenticeship training provider to support the apprentice and deliver off-the-job training (in all forms) directly linked to helping the apprentice develop the knowledge, skills and behaviours defined within the apprenticeship standard, and helping the apprentice to prepare for the end-point assessment phase as defined by the apprenticeship’s assessment plan. Using an approved End-Point Assessment Organisation to conduct an independent assessment of the apprentices knowledge, skills and behaviours (as defined by the apprenticeship’s assessment plan), following completion of the training phase. Often rolled into apprenticeship training costs, this covers the direct costs involved with meeting the wider requirements of apprenticeship delivery, over and above that detailed within the the specific apprenticeship standard and its associated assessment plan. This typically includes: liaising with the Apprenticeship Service, Learner Record Service, Employer Data Service, ESFA Hub and Skills Funding systems; completing apprentice identity, existing qualification and right to apprenticeship funding checks; completing initial functional skills and neurodiversity (additional learning needs) assessments; creating the individual learning plan; collating progress data and submitting monthly ILR returns; monitoring off-the-job training compliance; conducting random quality monitoring visits and tutor accompaniments; managing Ofsted and other quality assurance inspections; and more! time spent by the apprentice’s line manager or any other member of the employer’s organisation, training, mentoring or supporting the apprentice (except where the employer is registered as an approved employer provider, and the training is directly linked to knowledge, skills and behaviours defined within the apprenticeship standard). any fees to awarding bodies for non-mandatory qualifications (qualifications not specifically listed in the apprenticeship standard).